Whether you are a private homeowner, getting married, involved with agriculture, running an event or festival, in building or architecture, flood control or advertising – we can provide you a very cost effective package to meet your needs, especially if you have a limited budget. 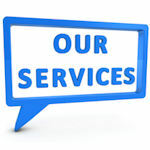 CLICK GALLERY TO VIEW OUR WORK & SERVICES. Resolutions up to 4000 x 3000 can be provided as is, or on canvas or A4 prints. We can take multiple images that we stitch together and then produce a high-resolution aerial panoramic photographs that can be moved around immersing the viewer in the picture! This is the latest innovation in drone technology which allows us to take a number of high resolutions photographs that we then stitch together to produce a 2D orthomosaic map, which can imported into Google Earth etc or a 3D point cloud or texture image that can provide a detailed 3D interactive image showing a building or landscape. This is a massively emerging market in the UK and these maps are in use in a number of industries in the UK such as Building & Construction, Oil & Gas, Conservation, Mining, Archaeology, Agriculture (idea for agronomists and farmers to quickly and easily identify crop issues in real time! ), Forensics, Forestry, Real Estate, Insurance, Waste Management, Surveying – the list goes on and on! Once you have engaged us we will operate a remote site survey and risk assessment based on Google Maps and also checking any NOTAMS (notice to airmen) issued by the CAA for the proposed day of the visit. We also check if your proposed site is subject to any restrictions on the day or if you are within controlled airspace which normally takes around an hour for us to complete at our own office. Please note: Under normal conditions we are limited to a maxim flight ceiling of 400 Feet however most shots are taken from much lower. We must also not operate the SUAS/UAV/Drone (Aircraft) more than 500 Metres away and must be in site at all times. We can create an Operational Safety Case and submit to the CAA for approval but most most operations can be completed within the standard limits. On the day of the visit we normally spend around an hour onsite and the first 15 mins or so , validating and updating the site survey and risk assessment with any changes or new information. We will then agree with you the areas you wish to be videoed and photographed and we will start the capture. We will use the remainder of the hour to take as many videos and photos as you need. We do all of this for a fixed price (subject to site survey and risk assessment) and can also produce your video for you. We provide all content on a USB key at the time of payment and take all major credit cards. We check the weather in advance and also again on the actual day and you obviously won’t be charged if the weather is bad and we cannot attend. We reserve the right to cancel any filming for safety reasons including airspace issues, weather or factors beyond our control. You will not be charged in the event of a cancellation that we make for factors such as this. Insurance – We have £5,000,000 Insurance to cover third party Liability including war and terrorism risks, underwritten by Hiscox Insurance & meets the minimum requirements of EC785/2004 – but if your project needs more cover, we can increase this to whatever you require!